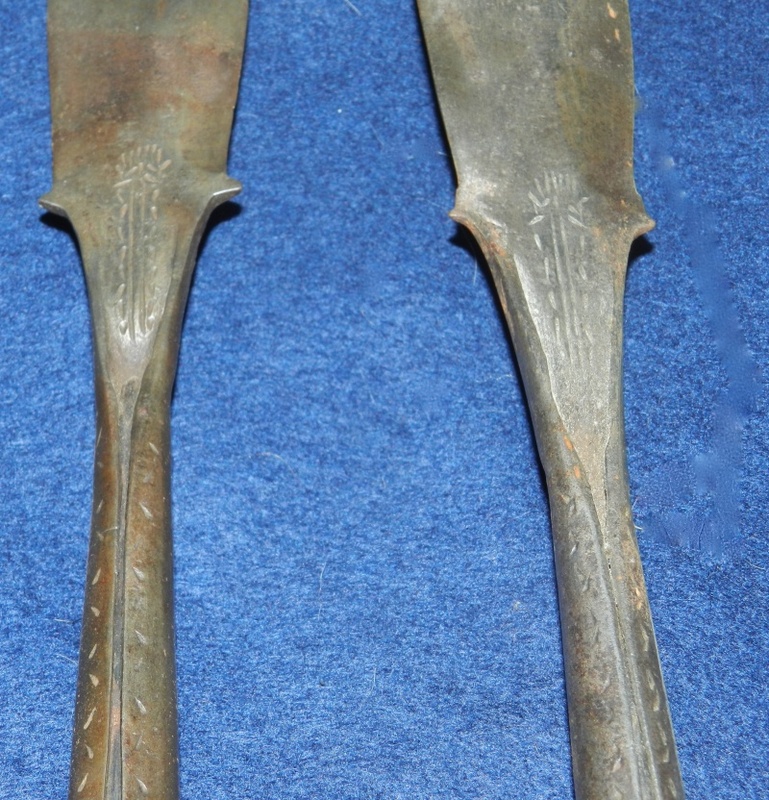 This composed pair of spears is from the Naga people of North East India and North West Burma. The groups of tribes which forms the Naga people are famous for a war like history, sweeping down from their hill top villages to raid other tribes on the Plains below. They are perhaps most famous for their culture of head hunting, the head of an enemy being said to give power and strength to the victor. Thier head hunting activities are said to have continued into times as recent as the 1960s. The Nagas clashed with the British Imperial forces in 1828 when Assam was annexed, and despite various treaties violence sporadically broke out, as it continues to do today in clashes with the Indian government. These spears are from the 19th Century, and in good condition. 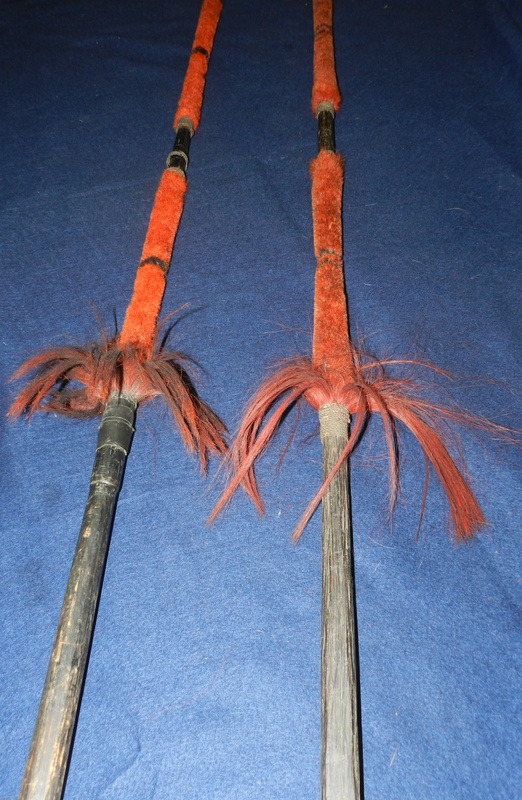 The shafts are decorated with the typical Naga red and black woven trim and goat hair tufts. They measure 6' 4" in length. 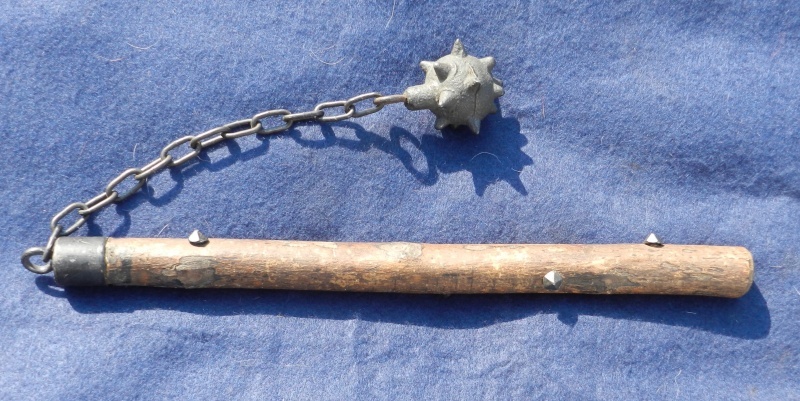 A cast spiked ball on an 8" length of chain attached to a 14" shaft. One swing of this device would be simply devastating and illustrated the brutality of trench warfare. Trench raids - or bashing parties - were sent over from both sides. Firearms were often prohibited as the raids were supposed to silent affairs to grab a prisoner or two and drag them back to your own trench system. 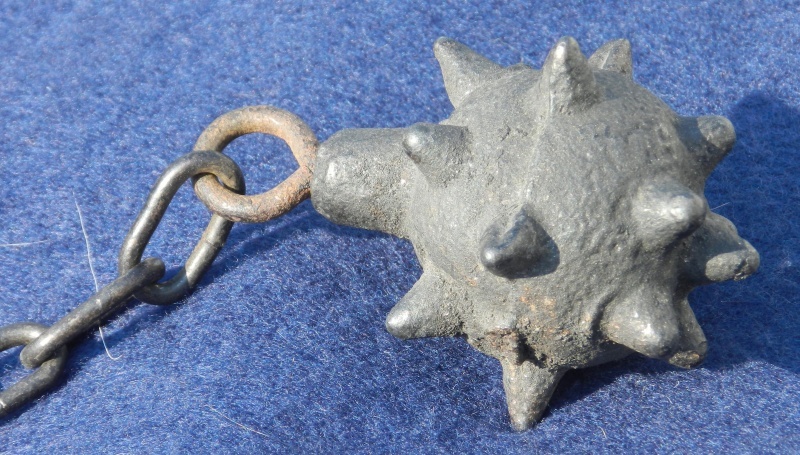 Flails and clubs were used; some home made from bits of furniture or machinery. Others like this example were specifically made. The wood shaft has a number of metal studs pressed into it. I suspect these are a later addition. The ball is crudely cast, but is in keeping with other examples I have seen, and the imperfect alignment of the two halves would in no way reduce the effectiveness of this weapon. The whole is in good condition. A bamboo sword cane. The overall length is 35" and the bamboo cane is carved with oriental figures and foliage. The scabbard has some splitting but the whole is sound and complete. The concave triangular blade is 30" long and marked "Wilkinson". Wilkinson and Son, later to be Wilkinson Sword was founded by the famous gunmaker Henry Nock - manufacturer of the 7 barrelled Volley Gun. The use of the name "Wilkinson" as opposed to "Wilkinson Sword" indicates manufacture in prior to 1891 and the absence of "& son" may link it back to the early 1800s, but further research is needed to confirm this.